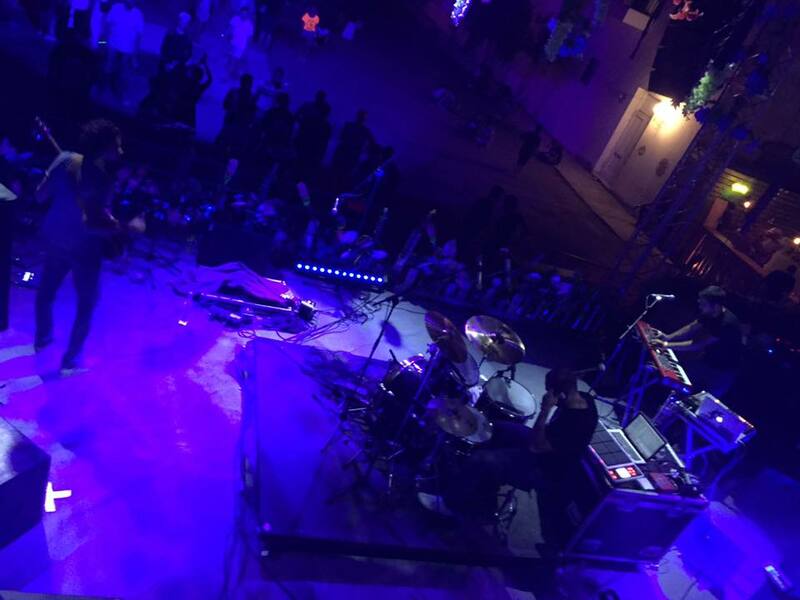 Jordanian band Za’ed Na’es (Plus Minus) recently performed at the Festival Musique et Arts Ephemere in Tunisia. The three members band are constantly changing and evolving their musical soundscape while creating a platform to connect with other musicians around the Middle East. The band has started to be an integral part of the underground/alternative scene in Jordan. This is what Za’ed Na’es stands for. Za’ed Na’es was established in 2013 in Amman by Ammar Urabi (Drums&Percussions), Amjad Shahrour (Bass, Guitar & Vocals) and Basel Naouri (Trumpet & Synth/Keys). Their aim is not only playing music together but to create “a platform for creating audio/visual productions. Collaborating with many artists, the band aims to stretch the limits of what music is about”. Most recently they collaborated with Egyptian singer songwriter Maii Waleed with their song called The System. Creating a soundscape that is imagined through various layers of different styles, ranging somewhere between electronic sounds and trip hop elements, Maii Waleed sings while strechting the limits of the soundsystem they are creating. Their music ranges between different layers of electronic beats and sounds creating a strange dream like soundscape that reminds you sometimes of the duo band S U R V I V E. At other times, they sound more like an indie band combined with electronic elements without comparing them to any specific group for example like the song Shatteit. I am formed of shallow thoughts/ and all sorts of racism/I am just a FUGITIVE ELEMENT/away from restraints, I am away from restraints,…. Their songs are expressing manifold issues concerning various ideas and expressions, talking about feelings, sensations, social matters, various conflicts, any aspects that affect each others‘ lives. It is expected that we hear a lot of new material in the near future of Za’ed Na’es. Click here for their Soundcloud Page.